Big River Harp MS Push It To The Limit. Push it to the limit like Paul DeLay used to. This consistently reliable workhorse combines the highest German quality standards at a more affordable price. 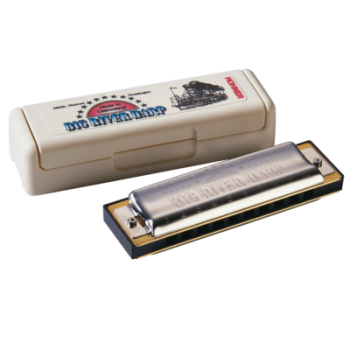 A plastic combed, MS version of the Marine Band style harp, it is a great everyday companion you can also take to the stage, where it holds its own in blues, rock and country playing. Available in all 12 keys plus a high G. Replacement reed plates are available separately.